Spring Marching Band Practices will take place twice a week and last approx. 1 hour. ​Meet in the Band Room after school. Drum Majors will give further instructions. Students will take a chartered bus to and from Roosevelt H.S. and the Pack Forest Conference Center in Eatonville Washington. Activities are lead by Director, Scott Brown and student leaders. ​​Permission forms are required and due on 8/30/19 - Forms available soon. 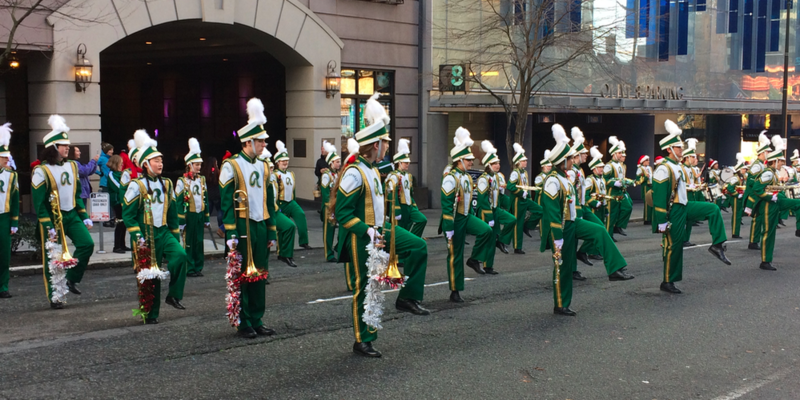 Students must make 3:4 practices to marching the parade. Every Tuesday and Thursday from 3:45-4:45pm.